Yes, of course…we can, but we need more enthusiasm than that. That’s exactly my comment to the Legionaries’ response to my question in that talk, because I was given the last topic for the whole Summer School. And you know when we attend a two-day conference, come the last presentation our feet would already be halfway through the door so to speak. Anyhow, it is true we can be saints. We are all called to be holy, but we have to begin by acknowledging we are sinners, that we need God’s mercy, that we need Jesus. If we read the lives of the saints, they would always say: they are the most unworthy of all. In our gospel today, Jesus would show us that his mercy is greater than our sins. And in showing us this beautiful aspect of our God, he also challenges us to be merciful to others especially to those who are caught up in sin—sinners like us. But the Pharisees and the scribes in today’s gospel episode would have none of this. They were threatened by the presence of Jesus. Jesus’ presence made them uncomfortable. Yes, Jesus does not only comfort the afflicted, he would also afflict the comfortable. They brought in a woman whom they call ‘sinner’ (i.e. caught in adultery) to Jesus. But they were not really concerned so much on the woman’s welfare. They were concerned on how to bring Jesus down. So they took advantage of the woman’s vulnerability and weakness in order to further their self-interest and their plot to get rid of Jesus. The Good news for us is that Jesus knew better. He could see farther. He could see the bigger picture. Jesus could see beyond the horizon. He could read between the lines of what the Pharisees really wanted of him. It’s funny because the Pharisees and the scribes thought that with their case about the woman Jesus would certainly be trapped. For them, Jesus would have to give an answer either YES or NO. And for both answer they already have an accusation against him. If Jesus would say ‘NO’, they would accuse him of breaking the law of Moses which commanded that a woman committing the sin of adultery had to be stoned to death. If he would say ‘YES, stone her to death’, then they would accuse him of not living out what he preached, such as forgiving 70 times 7 times, or that God is loving and forgiving God, waiting for his prodigal son to come back no matter how long he had to wait. We can always speculate what would Jesus have written. Some say, he must be writing the sins of the people around him. But I think the message Jesus wanted to express in there was not what he was writing about, but on what he was writing with—his finger. Why didn’t he look for a stick or a twig to write something on the ground? That’s the message. 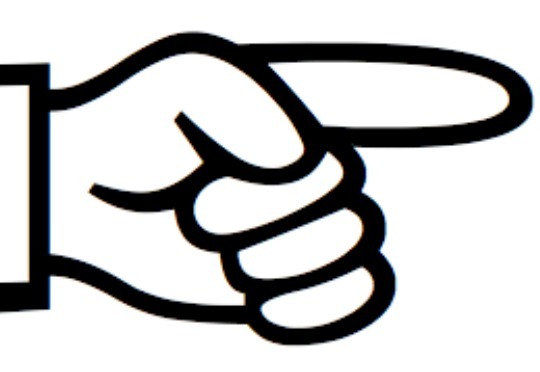 When we wrote something with our finger, our index finger/forefinger would be pointing outwards, the thumb would also be pointing outwards. The three other fingers would have been pointing towards us. In doing this, Jesus conveys a message to the accusers (the Scribes and Pharisees) that before you condemn others of their sins, have a look at yourselves first at least THREE times and see if you have not done something worthy of condemnation as well. In that gesture, Jesus reminded the audience that being holy is not feeling or thinking that we are better than others or that we can condemn others who have committed sinful acts. Being holy is helping others make things right and to help make others at right with God. The Pharisees however, failed to see the message Jesus expressed in his action. They persisted on what they believed to be the right thing that Jesus would need to do in that particular situation- to command that a woman be stoned to death- so that they would have something to accuse him with. And that’s how amazing Jesus is. Just as we thought there would be no way out, he would show he is the Way. For Jesus, if the path ended, he would blaze a trail. The Pharisees left him, one by one. They wouldn’t accept his statement on the issue indicating to them that the real issue is not how faithful he is to the law of Moses or how forgiving he is to sinners. The real issue is their attitude towards sinners themselves. Jesus also did something else amazing: He looked up at the woman. Jesus made himself even lower in status here- reminding us of himself taking up the punishment of our sins in order for us not die in sin. He looked up. He didn’t look down the sinner. We are to do the same. To look up at the sinner not because of the sins they had done, but because they need us to help them correct the wrongs they had done. To ‘look up’ also means to ‘pray for the person’, to pray for God’s mercy for sinners’. Let us be assured that as in St Paul’s life, every saint may have a past, but in Christ every sinner has a future. Let us also be assured that Jesus can transform our trials into triumphs, our cross into crowns, our sinfulness into saintliness, only that we never lose sight of him. Amen.